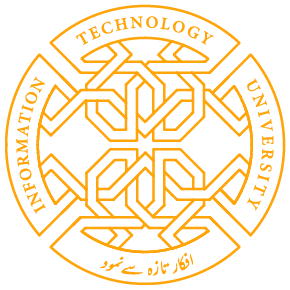 The four day 9th International Conference on Information & Communication Technologies for Development (ICTD) Pakistan 2017 is being held under the auspices of Information Technology University (ITU), the Punjab at Lahore from 16th to 19th November. The ICTD is a research conference, which explores the role of information and communication technologies (ICT) in global development. Since 2006, ICTD conferences were held at Berkeley, CA (USA), Bangalore (India), Doha (Qatar), London (United Kingdom), Atlanta, GA (USA), Cape Town, (South Africa), Singapore and Ann Arbor, MI (USA). The Information Technology University (ITU) and the Punjab IT Board (PITB) have been pioneers in developing, testing and scaling up ICT applications in areas of healthcare, education, agriculture, livestock, and governance. The last decade proved very significant in terms of progress for the IT industry in Pakistan. With the opening of incubators, accelerators and angel funding networks, there has been an exponential growth in tech startups coming out of Pakistan and raising venture funding from abroad. Dr. Umar Saif, founding Vice Chancellor of ITU, Chairman PITB and Advisor to the CM Punjab will be General Chair of this international conference, while Program Committee Chairs include Dr. Richard Anderson, Professor at University of Washington, and Dr. Carleen Maitland, Professor at Penn State University. The Conference reflects the multidisciplinary and multisectoral nature of ICTD work, with representation from a broad range of areas (anthropology, communication, computer science, design, economics, electrical engineering, geography, global health, information science, political science, sociology, and many others), as well as participation from academia, industry, civil society, and the government. Around 100 international professors and researchers and more than 100 local professors and practitioners have confirmed their participation. Papers being presented at the international moot are categorized as full papers and notes and will be made available in the ACM Digital Library. Share the post "ITU HOSTS 9th INTERNATIONAL CONFERENCE “ICTD Pakistan 2017” (Nov. 16-19, 2017)"